Perfectly Imperfect and other marks indicated on our site are trademarks owned exclusively by From Seed to Spoon, LLC. The use of these trademarks and trade dress is prohibited if used in connection with the sale of any product that is not Perfectly Imperfect, in any manner that seeks to disparage or discredit Perfectly Imperfect or in any manner that may cause confusion among our customers. You agree not to use of any of our trademarks as material on other web sites. You agree not to display any of our website in a frame (or any of our content via in-line links) without our express written permission, which may be requested by contacting us at help@perfectlyimperfectproduce.com. You may, however, establish ordinary links to the homepage and other major sections of our website without our written permission. All other names, logos, product and service names, designs and slogans on this website are the trademarks of their respective owners. All content on this website is the exclusive property of Perfectly Imperfect & From Seed to Spoon, LLC. Said content includes text, graphics, logos, icons, images, audio and video clips, digital downloads, and software. Our content is protected by United States and international copyright laws and we reserve all rights contained therein. In case of dispute or infringement, we will rigorously defend our rights to this material. c/o Highland Park Service Corp.
f. A statement that the information in the Notice is accurate, and under penalty of perjury, that the Complaining Party is the owner or is authorized to act on behalf of the owner of an exclusive right that is allegedly infringed. You may never use another User’s account without permission. When creating your account, you must provide accurate and complete information. You are solely responsible for the activity that occurs on your account, and you must keep your account password secure. We encourage you to use “strong” passwords (passwords that use a combination of upper and lower-case letters, numbers and symbols) with your account. You must notify us immediately of any breach of security or unauthorized use of your account. We will not be liable for any losses caused by any unauthorized use of your account. You may control your User profile and how you interact with the website by changing the Settings in the website. By providing us with your email address you consent to our using the email address to send you website-related notices, including any notices required by law, in lieu of communication by postal mail. If you do not want to receive promotional email messages, you may opt out by unsubscribing from such email communications from us. Opting out may prevent you from receiving email messages regarding updates, improvements, or offers. You hereby warrant that: all information that you provide us is true and accurate; You will only use the website in accordance with these Terms; You will not use the Site or website in violation of any Federal, State or local law, rule, ordinance or governmental regulation; and, You will only install and/or access the website on computers and mobile devices for which you are the authorized owner. 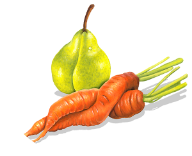 Perfectly Imperfect Produce and From Seed to Spoon, LLC grants you (the user) a limited, personal, non-exclusive, revocable license to access and make personal use of this website. This license does not include the right to download any material (other than routine page caching), modify any material, or any portion thereof, without the express written consent of Perfectly Imperfect Produce and From Seed to Spoon, LLC. This license excludes the download or collection of logos, product descriptions, pricing, text, graphics, audio and video clips, and/or copying account information. This website or any portion of this website may not be reproduced, duplicated, copied, sold, visited, or otherwise exploited for any commercial purpose without express written permission of From Seed to Spoon, LLC. You are prohibited from using meta tags or any other hidden text utilizing Perfectly Imperfect Produce’s name or trademarks without the express written consent of From Seed to Spoon, LLC. Any unauthorized use of this website voids the limited license granted by From Seed to Spoon, LLC. You are solely responsible for all media and content you and/or your children upload to the website, including without limitation ensuring the veracity thereof and obtaining the legal permission to so disclose such content. Your uploading of all such content must be in compliance with applicable law and all applicable provisions hereof. Such content shall not be hateful, threatening, obscene, unprofessional, or posted for purposes other than in furtherance of the website. We may refuse website to you for any lawful reason or for no reason. You agree to use our website responsibly, with good judgment, and in a manner conforming at minimum to prevailing standards for Internet and business etiquette. For example and without limitation, while using the website you shall not: (a) violate any applicable law or regulation; (b) infringe the rights of us or any third party, including without limitation intellectual property, privacy, and contractual rights; (c) use information obtained through our website for any unauthorized purpose; (d) interfere with or damage our website, including without limitation through the use of viruses, bots, Trojan horses, harmful code, flood pings, denial of service attacks, packet or IP spoofing, forged routing, forged electronic mail address information, means to reproduce or circumvent the navigational structure or presentation of the website or its contents, or similar methods or technology; (e) use our website unlawfully to transmit, distribute, post, or submit any private information concerning any other person or entity, including without limitation photographs, personal contact information, or numbers of credit, debit, or calling cards or accounts; (f) use our website in connection with the distribution of unsolicited commercial email or advertisements; (g) use our website to stalk, harass, or track the whereabouts or activities of any other individual without the individual’s knowledge or consent; (h) collect any information about any other user other than as customarily arises in the course of permitted use of our website; (i) use our website for any unauthorized commercial purpose; (j) impersonate any person or entity; (k) remove any copyright, trademark, or other proprietary right notices or legends contained in the website; (l) modify, adapt, sublicense, translate, sell, reverse engineer, decipher, decompile, or otherwise disassemble any portion of the website or any software used on or for the website; (m) collect or compile information from our website using any manual or automated means; or (n) assist or facilitate any third party in doing any of the foregoing. Furthermore, you may not use the website to develop, generate, transmit or store information that: (i) is defamatory, harmful, abusive, obscene or hateful; (ii) in any way obstructs or otherwise interferes with the normal performance of another person’s use of the website, (iii) performs any unsolicited commercial communication not permitted by applicable law; (iv) constitutes harassment or a violation of privacy or threatens other people or groups of people; (v) is harmful to children in any manner; (vi) violates any applicable law, regulation or ordinance; (vii) makes any false, misleading or deceptive statement or representation regarding us and/or the website or (viii) constitutes phishing, pharming or impersonates any other person, or steals or assumes any person’s identity (whether a real identity or online nickname or alias). If you do post content to this site or otherwise submit material (including, but not limited to, photographs and testimonials) (“User Content”), you grant From Seed to Spoon, LLC and its affiliates a nonexclusive, royalty-free, perpetual, irrevocable right to use, reproduce, modify, adapt, publish, translate, create derivative works from, distribute, and display such content throughout the world in any media. By your submission you represent and warrant that you own or otherwise control all of the rights to the content that you post; that the content is accurate; that use of the content you supply does not violate this policy and will not cause injury to any person or entity; and that you will indemnify From Seed to Spoon, LLC or its affiliates for all claims resulting from content you supply. From Seed to Spoon, LLC reserves the right to remove any content at our sole discretion. We do not claim ownership of any materials you make available through the website. At our sole discretion, such materials may be included in the website in whole or in part or in a modified form. With respect to such materials you submit or make available for inclusion on the website, you grant us a perpetual, irrevocable, non-terminable, worldwide, royalty-free and non-exclusive license to use, copy, distribute, publicly display, modify, create derivative works, and sublicense such materials or any part of such materials. You hereby represent, warrant and covenant that any materials you provide do not include anything (including but not limited to text, images, music or video) to which you do not have the full right to grant the license specified in this Section. While the User Content you create remains yours by sharing User Content through the website, you agree to allow others to view, edit, and/or share your User Content in accordance with your settings and this Agreement. We have the right (but not the obligation) in our sole discretion to remove any User Content that is shared via the website. You agree not to post or transmit User Content that: (i) may create a risk of harm, loss, physical or mental injury, emotional distress, death, disability, disfigurement, or physical or mental illness to you, to any other person, or to any animal; (ii) may create a risk of any other loss or damage to any person or property; (iii) seeks to harm or exploit children by exposing them to inappropriate content, asking for personally identifiable details or otherwise; (iv) may constitute or contribute to a crime or tort; (v) contains any information or content that we deem to be unlawful, harmful, abusive, racially or ethnically offensive, defamatory, infringing, invasive of personal privacy or publicity rights, harassing, humiliating to other people (publicly or otherwise), libelous, threatening, profane, or otherwise objectionable; (vi) contains any information or content that is illegal (including, without limitation, the disclosure of insider information under securities law or of another party’s trade secrets); (vii) contains any information or content that you do not have a right to make available under any law or under contractual or fiduciary relationships; (viii) contains any information or content that you know is not correct and current; (ix) violates any school or other applicable policy, including those related to cheating or ethics; (x) interferes with other users of the website including, without limitation, disrupting the normal flow of dialogue in an interactive area of the website and deleting or revising any content posted by another person or entity. You agree that any User Content that you post does not and will not violate third-party rights of any kind, including without limitation any Intellectual Property Rights (as defined below) or rights of privacy. We reserve the right, but are not obligated, to reject and/or remove any User Content that we believe, in our sole discretion, violates these provisions. A. You have the consent of each and every identifiable natural person in the User Content to use such person’s name or likeness in the manner contemplated by the website and this Agreement, and each such person has released you from any liability that may arise in relation to such use. B. Your User Content and our use thereof as contemplated by this Agreement and the website will not violate any law or infringe any rights of any third party, including but not limited to any Intellectual Property Rights and privacy rights. We take no responsibility and assume no liability for any User Content that you or any other User or third party posts or sends over the website. You shall be solely responsible for your User Content and the consequences of posting or publishing it, and you agree that we are only acting as a passive conduit for your online distribution and publication of your User Content. You understand and agree that you may be exposed to User Content that is inaccurate, objectionable, inappropriate for children, or otherwise unsuited to your purpose, and you agree that we shall not be liable for any damages you allege to incur as a result of User Content. By registering for and using the website, you accept that we reserve the right to send you advertisements and offers for other products and services via in-app messaging, text message and the email address you provide. To opt-out of all further contact initiated by us, email at any time at help@perfectlyimperfectproduce.com. The website may contain links to third party websites and resources. Such sites and resources are not under our control and we shall not be responsible for the contents or functions thereof. We provide such links as a convenience, and the inclusion of any link does not imply endorsement by us or any association with its operators. You agree that all content and materials available on our website are protected by our and the applicable third parties’ rights of publicity, copyrights, trademarks, service marks, patents, trade secrets, and other proprietary rights and laws. Except for information in the public domain or for which you have been given express written permission by us to the contrary, you agree not to sell, license, rent, modify, distribute, copy, reproduce, print, transmit, publicly display, publicly perform, publish, adapt, edit, or create derivative works of any materials or content available on our Site. Notwithstanding the above, you may use the content and materials on our Site in the course of your normal use of our website. You agree not to use of any of our trademarks as material on other web sites. You agree not to display any of our website in a frame (or any of our content via in-line links) without our express written permission, which may be requested by contacting us at help@perfectlyimperfectproduce.com. You may, however, establish ordinary links to the homepage and other major sections of our website without our written permission. You hereby confirm that you own all exclusive rights to any data and content (the “Content”) that you provide to the website and may assign in license such rights. You keep all title and rights to the Content, but you grant us a worldwide, free, non-exclusive, irrevocable, sub licensable, transferable and perpetual license to use, copy, distribute, create derivative works of, publicly display, publicly perform and exploit in any other manner the Content. Subject to the aforementioned, the Company keeps title and all rights to the website’s database. Without limiting the foregoing, we have the right to fully cooperate with any law enforcement authorities or court order requesting or directing us to disclose the identity or other information of anyone posting any materials on or through the Website. YOU WAIVE AND HOLD HARMLESS THE COMPANY AND ITS AFFILIATES, LICENSEES AND SERVICE PROVIDERS FROM ANY CLAIMS RESULTING FROM ANY ACTION TAKEN BY THE COMPANY DURING OR AS A RESULT OF ITS INVESTIGATIONS AND FROM ANY ACTIONS TAKEN AS A CONSEQUENCE OF INVESTIGATIONS BY EITHER THE COMPANY OR LAW ENFORCEMENT AUTHORITIES. BLOCKING OF IP ADDRESSES In order to protect the integrity of the website, we reserve the right at any time in our sole discretion to block users on certain IP addresses from accessing our website. You hereby represent and warrant to us that: (a) you have the full power and authority to enter into and perform under these Terms; and (b) your use of our website will not violate any law and/or any of these Terms. You further represent and warrant that: you are the parent or legal guardian of the child that is the subject of your account; you have the authority of the parent or legal guardian of the child to register the account for that child; or you have the authority of the person that is the subject of the account if that person is not a minor. YOU AGREE THAT: A. IF YOU USE OUR WEBSITE, YOU DO SO AT YOUR OWN AND SOLE RISK. OUR WEBSITE IS PROVIDED ON AN “AS IS” AND “AS AVAILABLE” BASIS. WE EXPRESSLY DISCLAIM ALL WARRANTIES OF EVERY KIND, WHETHER EXPRESS OR IMPLIED, INCLUDING WITHOUT LIMITATION IMPLIED WARRANTIES OF MERCHANTABILITY, FITNESS FOR A PARTICULAR PURPOSE, AND NON-INFRINGEMENT. THE WEBSITE IS NOT A SUBSTITUTE FOR OVERSIGHT AND SUPERVISION BY THE MINOR’S PARENTS OR LEGAL GUARDIANS AND SHOULD NOT BE CONSTRUED AS A PREVENTATIVE MEASURE IN ANY MANNER. B. WE EXPRESSLY DO NOT WARRANT THAT, AND EXPRESSLY DISCLAIM ALL IMPLIED WARRANTIES THAT: (A) OUR WEBSITE WILL MEET YOUR REQUIREMENTS; (B) OUR WEBSITE WILL BE UNINTERRUPTED, TIMELY, SECURE, OR ERROR-FREE; (C) ANY INFORMATION THAT YOU MAY OBTAIN ON OUR WEBSITE WILL BE ACCURATE OR RELIABLE; (D) THE QUALITY OF ANY PRODUCTS, SERVICES, INFORMATION OR OTHER MATERIAL PURCHASED OR OBTAINED BY YOU THROUGH OUR WEBSITE WILL MEET YOUR EXPECTATIONS; OR (E) ANY ERRORS IN ANY DATA OR SOFTWARE WILL BE CORRECTED. C. WE ARE NOT RESPONSIBLE FOR ANY PROBLEMS OR TECHNICAL MALFUNCTION OF ANY TELEPHONE NETWORK OR LINES, COMPUTER ONLINE SYSTEMS, SERVERS, PROVIDERS, COMPUTER EQUIPMENT, SOFTWARE, FAILURE OF COMMUNICATION ON ACCOUNT OF TECHNICAL PROBLEMS, OR TRAFFIC CONGESTION ON THE INTERNET OR AT ANY WEBSITE OR COMBINATION THEREOF, INCLUDING INJURY OR DAMAGE TO USERS OR TO ANY OTHER PERSON’S PROPERTY RELATED TO OR RESULTING FROM PARTICIPATING OR DOWNLOADING MATERIALS IN CONNECTION WITH THE WEB OR IN CONNECTION WITH THE WEBSITE. UNDER NO CIRCUMSTANCES WILL WE OR ANY OF OUR AFFILIATES, ADVERTISERS, PROMOTERS, OR DISTRIBUTION PARTNERS BE RESPONSIBLE FOR ANY LOSS OR DAMAGE, INCLUDING PERSONAL INJURY OR DEATH, RESULTING FROM ANYONE’S USE OF THE WEBSITE OR OUR SERVICES. D. NO DATA, INFORMATION, OR ADVICE OBTAINED BY YOU IN ORAL OR WRITTEN FORM FROM US OR THROUGH OR FROM OUR WEBSITE WILL CREATE ANY WARRANTY NOT EXPRESSLY STATED IN THESE TERMS. A. YOU AGREE THAT WE WILL NOT BE LIABLE FOR ANY DAMAGES WHATSOEVER, INCLUDING DIRECT, INDIRECT, INCIDENTAL, SPECIAL, CONSEQUENTIAL, PUNITIVE OR EXEMPLARY DAMAGES (EVEN IF WE HAVE BEEN ADVISED OF THE POSSIBILITY OF SUCH DAMAGES), ARISING FROM, RELATING TO, OR CONNECTED WITH: (A) THE USE OR INABILITY TO USE OUR WEBSITE, (B) THE COST OF REPLACEMENT OF ANY INFORMATION STORED OR MANAGED USING OUR WEBSITE, (C) UNAUTHORIZED ACCESS TO OR ALTERATION OF YOUR CONTENT, (D) STATEMENTS, CONDUCT, OR OMISSIONS OF ANY PROFESSIONALS, CONSUMERS, SERVICE PROVIDERS OR OTHER THIRD PARTY ON OUR WEBSITE, (E) THE ACCURACY OF ANY INFORMATION PRESENTED ON THE WEBSITE REGARDING THE LOCATION OR ACTIVITIES OF OTHERS; (F) ANY OTHER MATTER ARISING FROM, RELATING TO, OR CONNECTED WITH OUR WEBSITE OR THESE TERMS; OR (G) USER CONTENT OR THE DEFAMATORY, OFFENSIVE, OR ILLEGAL CONDUCT OF ANY THIRD PARTY. C. IN NO EVENT WILL OUR AGGREGATE LIABILITY TO YOU OR ANY THIRD PARTY IN ANY MATTER ARISING FROM, RELATING TO OR CONNECTED WITH OUR WEBSITE OR THESE TERMS EXCEED THE SUM OF FIVE DOLLARS ($5.00). D. YOU UNDERSTAND, ACKNOWLEDGE, AND AGREE THAT WE HAVE NO CONTROL OVER THE BEHAVIOR OF ANY OTHER USER OF THE WEBSITE, AND WE HEREBY DISCLAIM ALL WARRANTIES AND LIABILITIES RESPECTING THE CONDUCT OTHER USERS. F. IN NO EVENT SHALL WE, OUR OFFICERS, MEMBERS, MANAGERS, EMPLOYEES, OR AGENTS BE LIABLE FOR ANY DAMAGES WHATSOEVER, WHETHER DIRECT, INDIRECT, GENERAL, SPECIAL, COMPENSATORY, CONSEQUENTIAL, PUNITIVE, OR INCIDENTAL, ARISING OUT OF OR RELATING TO THE CONDUCT OF YOU OR THIRD PARTIES IN CONNECTION WITH YOUR USE OF THE WEBSITE, INCLUDING WITHOUT LIMITATION BODILY INJURY, EMOTIONAL DISTRESS, AND ANY OTHER DAMAGES RESULTING FROM COMMUNICATIONS WITH OTHER USERS OF THE WEBSITE, OR ANY VENUES, PERSONS, OR ENTITIES, YOU MAY INTERACT WITH ARISING FROM YOUR USE OF THE SERVICE, OR ANY BUSINESS TRANSACTIONS INTO WHICH YOU MAY ENTER OR CONSUMMATE WITH THEM. You agree to defend, indemnify, and hold harmless us and our subsidiaries, corporate parents, affiliates, and each of our and their directors, officers, managers, members, partners, representatives, agents, assigns, and employees from and against each and every claim, demand, action, damage, loss, cost, and expense, including without limitation reasonable attorneys’ fees, incurred in connection with any suit or proceeding brought against us arising out of your or your children’s use of our website or alleging facts or circumstances that could constitute a breach by you and/or your children of any provision of these Terms or any of the representations and warranties set forth above. If you are obligated to indemnify us, we will have the right in our sole and unfettered discretion to control any action or proceeding and determine whether we wish to settle it, and if so, on what terms. In the event of a dispute between you and any other user of the website, you hereby release us and our affiliates (and us and their officers, directors, agents, affiliates, subsidiaries, joint ventures and employees) from all claims, demands, and damages of every kind and nature, known and unknown, suspected and unsuspected, disclosed and undisclosed, arising out of or in any way connected with such disputes. You hereby waive any and all claims you may have against us, our clients, and our other customers of the website in connection with our and their use of the website not constituting a breach hereof. From time to time, Perfectly Imperfect Produce and From Seed to Spoon, LLC offers its clients special offers and discount codes to be used in conjunction with this website. These offers are frequently disseminated via this website and through email to those who have registered for our email database. They are sometimes posted on our home page or announced via other means of communication in conjunction with the promotion of our product collection, including radio and TV broadcasts, internet forums and various online websites. We encourage our clients to redeem these special offers, but we respectfully ask that you not exploit them. From Seed to Spoon, LLC, at our sole discretion, will determine if all purchasing criteria has been met to qualify for stated discount or free product. If you successfully circumvent the software safeguards of this website in order to receive several free products with your order, then we will (at our sole discretion) remove any extraneous free product from your order or cancel the order in its entirety. You will be informed of any order changes via the phone number or email address listed with your order. By visiting www.perfectlyimperfectproduce.com you agree that the laws of the state of Ohio, without regard to principles of conflict of laws, will govern these Conditions of Use and any dispute of any sort that might arise between you and From Seed to Spoon, LLC. From Seed to Spoon, LLC reserves the right to modify, alter, delete and update these policies at any time we see fit. Such alterations do not nullify our rights if infringements or breaches occurred under a previous version of these conditions. Welcome to Perfectly Imperfect Produce and our Terms of Service. These Terms are very important and will affect your legal rights when using our service. Please read carefully before ordering any of our Products or subscribing to one of our Services. Know that you agree to be bound by these terms and conditions. 1.1 We, From Seed to Spoon, LLC, operate the website www.perfectlyimperfectproduce.com. We are an LLC registered in the State of Ohio. 1.2 We, From Seed to Spoon, LLC, operate the social media handle, @perfectlyimperfectproduce on Instagram, Twitter, and Facebook. The website includes features that operate in conjunction with certain third party social networking websites that you visit (“Social Network Features”). While your use of the Social Network Features is governed by this Agreement, your access and use of third party social networking websites and the services provided through these websites is governed by the terms of service and other agreements posted on these websites. It is impossible for us to determine in each case whether your use of the Social Network Features would cause you to violate or breach the terms of service and/or other agreements posted on these third-party websites. You understand and acknowledge that your use of the Social Network Features may cause you to violate or breach the terms of service and other agreements posted on these third-party websites which could result in the termination of your account and ability to access these third-party websites and, in some cases, could give rise to liability for damages. YOU AGREE THAT YOU ALONE ARE RESPONSIBLE FOR YOUR USE OF THE SOCIAL NETWORK FEATURES AND THAT WE WILL NOT BE LIABLE TO YOU OR ANYONE ELSE FOR YOUR VIOLATION OR BREACH OF ANY TERMS OF SERVICE OR OTHER AGREEMENT THAT MAY RESULT FROM YOUR USE OF THE SOCIAL NETWORK FEATURES. 3.2 Perfectly Imperfect Produce offers bi-weekly orders, and weekly recurring orders. By submitting a bi-weekly or weekly recurring order you are agreeing to recurring charges. Perfectly Imperfect will submit periodic charges (E.G. Weekly) without further authorization from you, until provided with information to do otherwise (E.G. Cancellation, vacation, or hold). These changes must occur before your order cutoff, which is listed in your account area and sent in a reminder each week. (Cut off to change order). We are no longer required to change your order after the cutoff date. 3.3 There is no auto-renewal with Perfectly Imperfect. Customers are allowed to cancel, suspend, and resume deliveries at anytime before that week's cutoff. These changes must be done by your order cutoff. We do reserve the right to deny resuming or re-subscription where we have previously determined to terminate a subscription. 5.2 In order to deactivate your account or cancel your subscription, you can email help@perfectlyimperfectproduce.com informing us you would like to cancel your account. There is also an option to go into your own account and delete all orders as well. 6.1 Perfectly Imperfect offers various options. All sizes and prices are quoted on our Site. If there are any changes we will notify via email. 6.2 Perfectly Imperfect has a delivery fee of $5 - $15 for orders. In addition to the amounts payable as set forth herein, you shall be solely liable and responsible for any and all shipping costs and applicable sales and use taxes, customs, duties, and tariffs on and/or associated with the products and/or services imposed on us at any time upon the sale and/or shipment and/or provision of the products and/or services, now imposed by international, federal, state, municipal and/or any other governmental authorities or becoming effective for or during the duration of the transactions contemplated herein. We, in our sole discretion, shall ship all products (to the extent applicable) via our preferred carrier. All products shall be shipped FOB Point of Shipment. Title and risk of loss pass to you upon delivery to a carrier. You agrees that the delivery dates are estimates only and may be changed. We will use commercially reasonable efforts to cause products to be shipped and/or services provided in accordance with the delivery dates. However, we shall not be liable for failure to ship the products or provide the services as estimated. 6.4 All payments for all Products and Services must be paid by debit or credit card. We accept all payments from Visa, MasterCard, and American Express. We reserve the right to suspend deliveries if the credit or debit card becomes invalid and until a valid credit or debit card is inputted. We will never share your payment information. By placing an order, you expressly authorize us to charge you for such order, and any other charges you may incur in connection with the foregoing order to the payment method you provided during registration (or to a different payment method if you change your account information). UNLESS OTHERWISE SET FORTH HEREIN, PAYMENTS ARE NONREFUNDABLE AND THERE ARE NO REFUNDS OR CREDITS. YOU ARE FULLY LIABLE FOR ALL CHARGES RELATED TO THE PURCHASE OF GOODS AND/OR SERVICES, INCLUDING ANY UNAUTHORIZED CHARGES. YOU ACKNOWLEDGE THAT, UNLESS OTHERWISE PROVIDED HEREIN, WE ARE NOT REQUIRED TO PROVIDE A REFUND FOR ANY REASON. 7.1.1 You shall inspect any products within TWENTY-FOUR (24) HOURS after delivery such products to their shipping destination. You shall notify us in writing within such twenty-four (24) hour period of any material defects. Cosmetic defects are not considered material defects. For all items that contain material defects, you need to take a picture of that item and send it to help@perfectlyimperfectproduce.com. 7.1.2 If all or part of a Product is materially defective we will credit or refund you an amount equivalent to the value of the Defective Item towards a future purchase. These refunds will be processed within 7 days of your email to help@perfectlyimperfectproduce.com. 9.2 To deactivate your account, you email help@perfectllyimperfectproduce.com stating that you would like to cancel your account and stop receiving deliveries. This email should include your full name and email address on the account. 9.3 By registering for our service, you agree to opt-in to receive text, emails, and/or calls from Perfectly Imperfect or any affiliates at any time. To opt-out of emails, texts, or calls, you must send an email to help@perfectlyimperfectproduce.com. 10.1 Perfectly Imperfect Produce products include perishable items and to maintain integrity of the products after delivery, we recommend that you immediately refrigerate or freeze these perishable items. 11.1 We merit that any Product purchased from us through perfectlyimperfectproduce.com upon delivery will match its description. It will be of acceptable quality, and be fit for all the purposes of which the product should be. If the Products purchased from us are not of acceptable quality please see Section 7 for our Refund Policy. 15. Exclusive Jurisdiction. YOU HEREBY IRREVOCABLY AND UNCONDITIONALLY SUBMITS, FOR YOURSELF AND YOUR PROPERTY, TO THE EXCLUSIVE JURISDICTION OF ANY OHIO STATE COURT OR FEDERAL COURT SITTING IN CUYAHOGA COUNTY, OHIO, IN ANY ACTION OR PROCEEDING ARISING OUT OF OR RELATING TO THE SITE AND THESE TERMS AND CONDITIONS. YOU AGREE THAT A FINAL JUDGMENT IN ANY SUCH ACTION OR PROCEEDING SHALL BE CONCLUSIVE AND MAY BE ENFORCED IN OTHER JURISDICTIONS BY SUIT ON THE JUDGMENT OR IN ANY OTHER MANNER PROVIDED BY LAW.